I did things this weekend – ya know, the usual seeing the friends, going to the places, doing the vatious endurance exercises and outdoorsy activities. Any regular Eat Run Reader knows the drill. 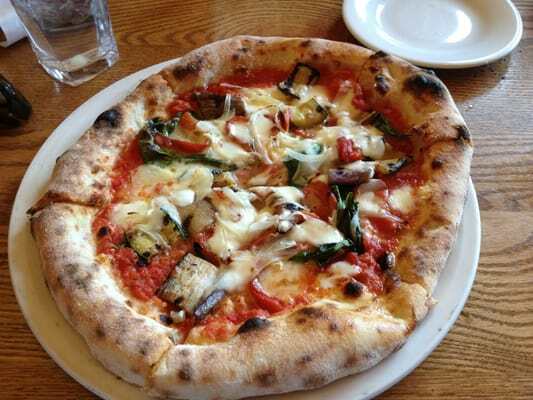 But it’s not every weekend that I hit the culinary jackpot and eat at two amazing restaurants – so this is a Weekend Report of food: Pizzeria Orso and Thai X-ing to be exact! I’m pretty sure I consumed more in two nights than I did in the entire preceding week, and I have absolutely no regrets because every bite was so worth it. The food adventures started on Saturday with a post-rock climbing excursion to Pizzeria Orso. We left the Great Falls rocks (i.e. the aforementioned outdoorsy activity) as it began to rain and made our way to Falls Chruch, VA (a bit outside of my normal neighborhoods, but totally worth a return trip). We expected good pizza, but sweet monkey pumpkins! the pizza was delish but I hardly had tummy-room for one piece due to the preceding assortment of small plates we tasted (read: inhaled). The restaurant is casual and from the outside looks like nothing particularly special. But once inside you watch the pizzas go in and out of the wood-fired oven and smell the everything-awesome-about-Italian-food and swoon. Executive Chef Will Artley might be my new favorite person. So what did we eat that was so good? WELL LET ME TELL YOU. Artley described the the BLT gnocchi as mac and cheese crack, saying that diners come in and order plates and plates of it. The sauce was rich and cheesy, but the gnocchi itself was incredibly light. Yummmm. So yes, it was good, but I think my “crack” of the afternoon was the meatballs and polenta. The polenta especially – I don’t know what he does to make it so creamy but holy meatballs it was far and away the best polenta I’ve ever had. And the basil aioil with the calamari. Sigh. I need more of that in my life. Pizza-wise we got three – the Orso (mozzarella, pecorino Tuscano, fontina, grana, ricotta, garlic, prosciutto), the Orso Bianco (mozzarella, pecorino Tuscano, fontina, grana, ricotta, garlic, prosciutto), and the Verdure (tomato, basil, eggplant, sweet peppers, onion, capers, mushrooms, mozzarella). Mine was the Verdure, which was good for people (i.e. me) who prefer pizza with less cheese and more veggies. But for cheese-lovers I think the Orso Bianco was the best. 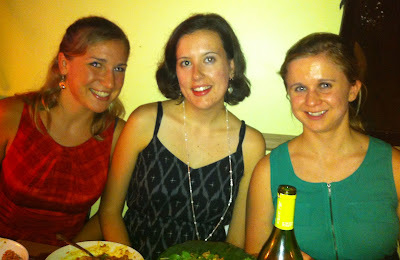 Epic food excursion #2 occurred on Saturday. Thai X-ing is the best Thai food I've ever had ever and I cannot stop thinking about how delicious it all was. For the uninitiated, Thai X-ing is a DC legend. 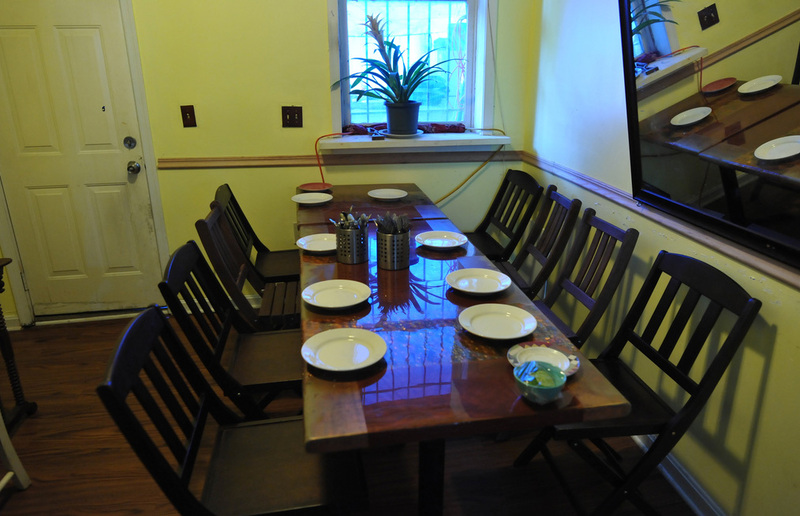 It's super-tiny (accommodates 25 diners total) in a row house and you have to call weeks in advance for reservations. LOTR-Emily's boyfriend did just that, and invited her best friends along for a birthday surprise! 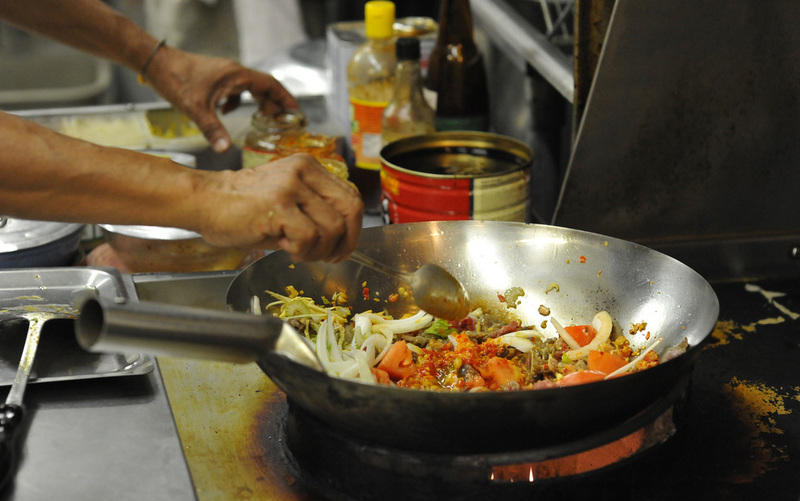 "Does it feel as though you're entering a Thai speak-easy? It should...There's always a whiff of confusion in the air, not unlike the dinner party where you show up earlier than the host expected." (WaPo review). The menu is prix-fixe and it's all chef's choice. It's BYOB, and Sundays are vegetarian night. 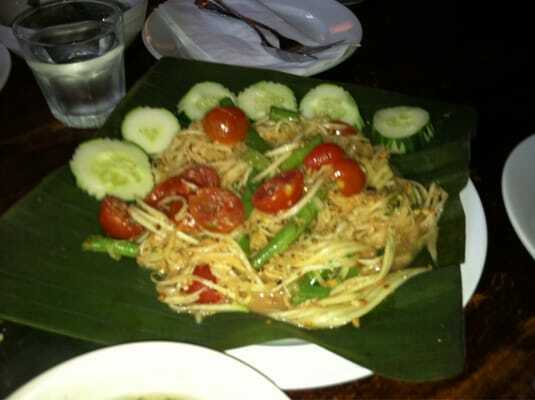 Just sit down, relax, and expect the servers to bring you a Thai feast of deliciously epic proportions. Since there's no menu I can't tell you exactly what we ate, but it definitely started with Chef Vigsittaboot's signature appetizer: Green Papaya Salad (green papaya, julienned tropical fruit, halved cherry tomatoes, crisp green beans and crushed peanuts), and ended with the even more famous Mango Sticky Coconut Rice. 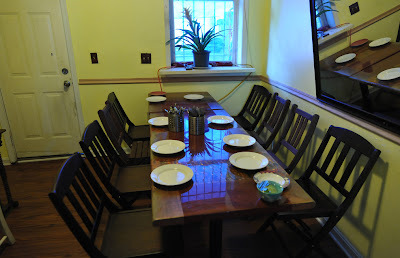 For six people we had four huge entrees, and as a non-vegetarian, I can promise you that you won't miss the meat. Everything was spicy in a wonderfully flavorful way, and the hottest dishes were balanced out with cooling cucumbers or bits of fruit. 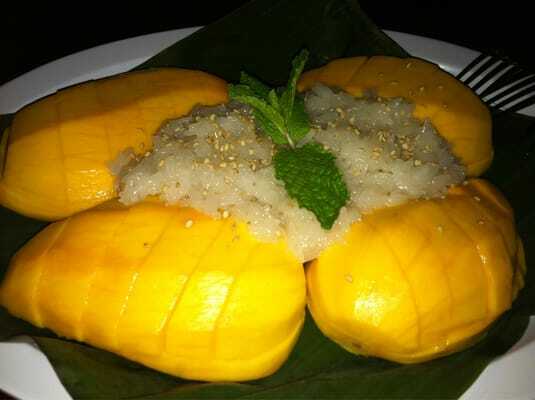 My favorite dish was probably the most simple -- pumpkin in creamy red curry. 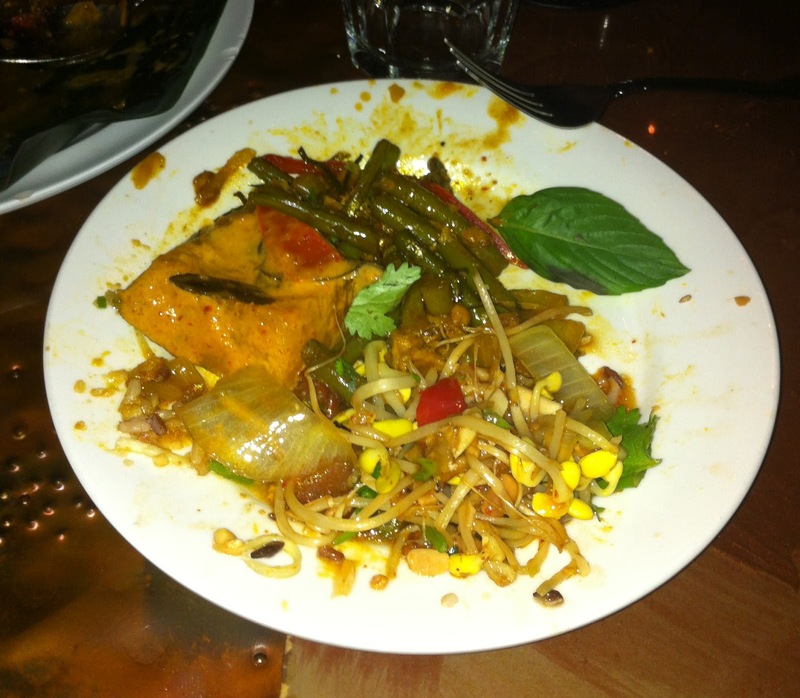 Our other entrees included a spicy string bean stir-fry, pad see ew (i.e. thick noodles), and some sort of sweet and sour tofu with soybean sprouts and fried garlic and peppers. Even the rice on the table was special -- it was a mix of earthy beans and redish-brownish rice (does anyone know what this is? I need it in my kitchen). So. Good. To quote LLC: I want it all again. A million times.